Exqusite NWA 4713 specimen with an extremely unusual structure! Northwest Africa 4713 (NWA 4713). 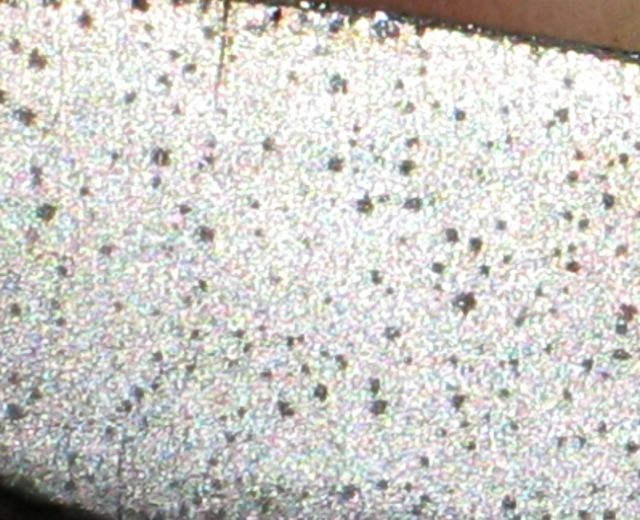 While the Meteoritical Bulletin states that it has numerous tiny "holes" in it, they appear to us to be numerous miniture inclusions which only appeared after etching! 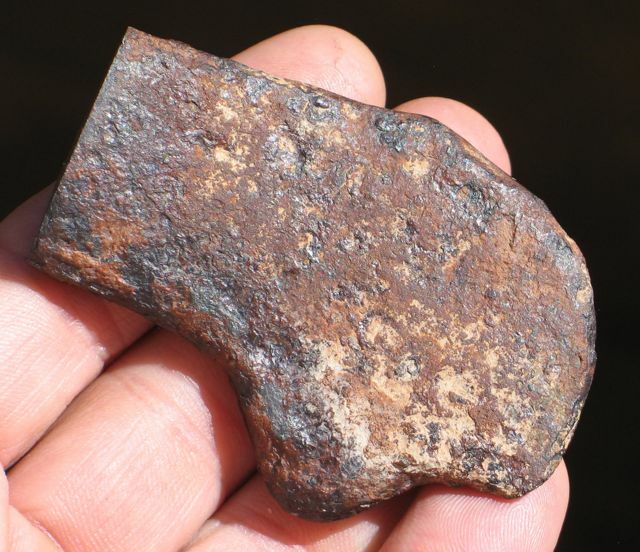 This is a very strange meteorite! Petrography: The UCLA sample is half of an oblate spheroid ~3 cm in diameter and 1 cm thick. The surface is covered by iron oxides. The deep-etched surface shows no octahedral pattern, and thus is a heated and recrystallized structure. 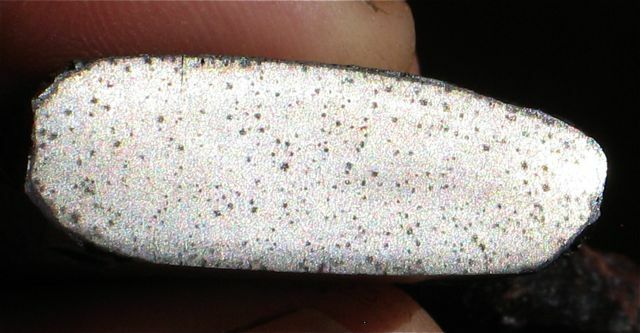 There are many small (0.05 to 0.15 mm) irregular holes (or clumps of holes) scattered uniformly in the metal. The density is about 1 mm-2 and thus ~1 vol%. 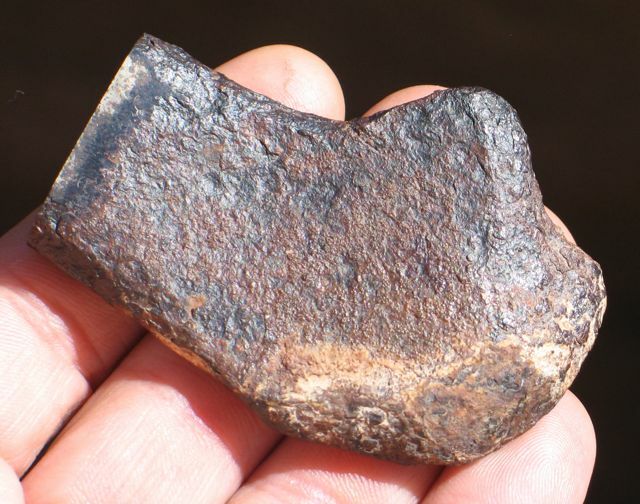 The meteorite is a member of sLM with Maltahöhe its nearest relative; thus its structure differs markedly from the very attractive Of structures of the other irons in this subgroup. Geochemistry: Co (mg/g) 5.30, Ni (mg/g) 144.5, Ga (µg/g) 33.6, Ge (µg/g) <80, As (µg/g) 19.2, Ir (µg/g) 0.909, Au (µg/g) 1.61. Stunning, 131g NWA 4713 Main Mass! Price: $1295.00!